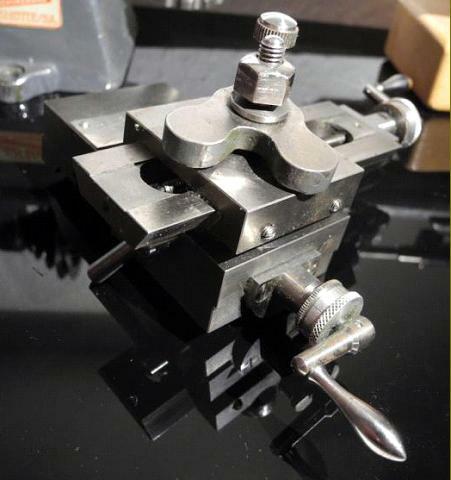 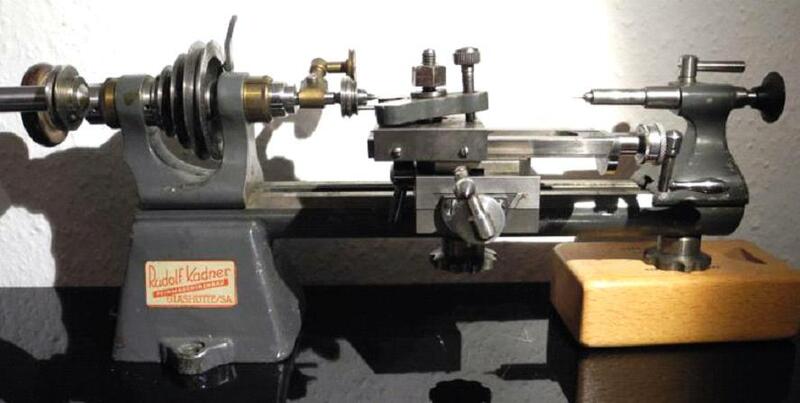 Half-way between a heavier "WW" style of watchmaker's and a "precision bench" of the type first produced by "Stark" type, the Rudolf Kadner lathe was manufactured in Glashütte, in Sächsische Schweiz-Osterzgebirge, Saxony. 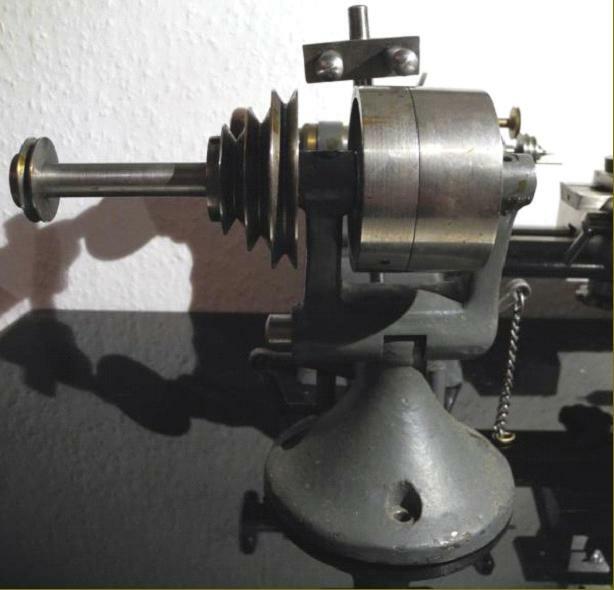 The town, located in the far east of Germany, is famous as the birthplace of the German watchmaking industry. 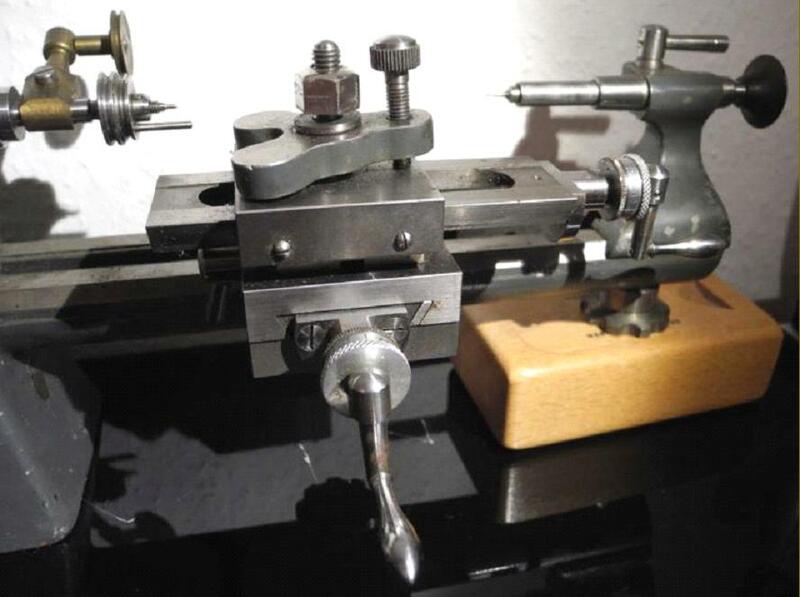 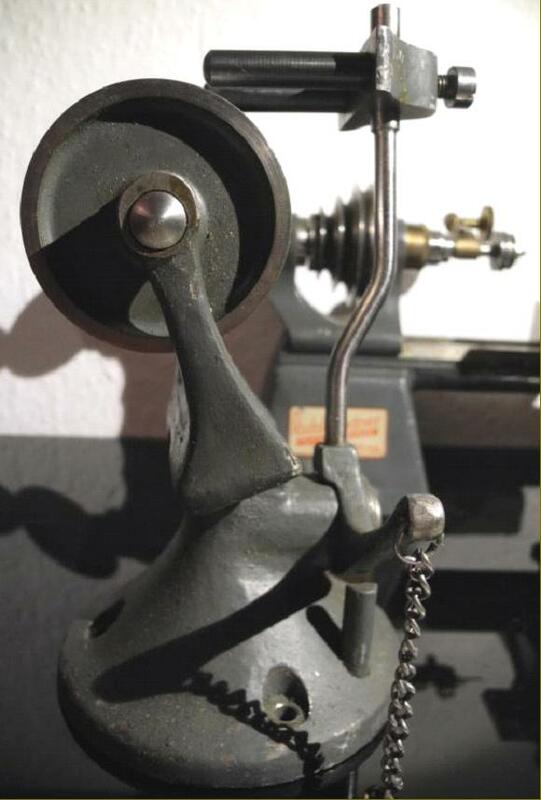 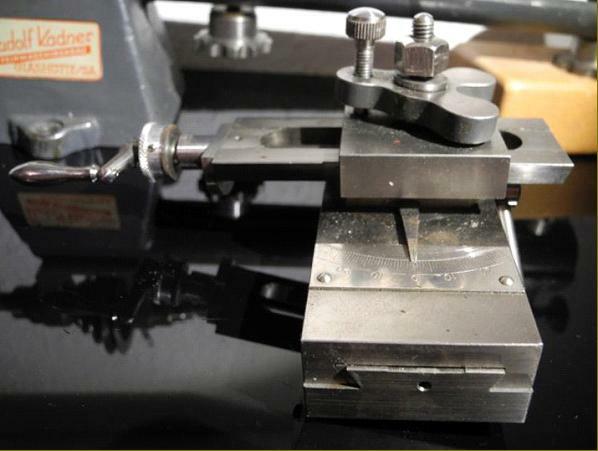 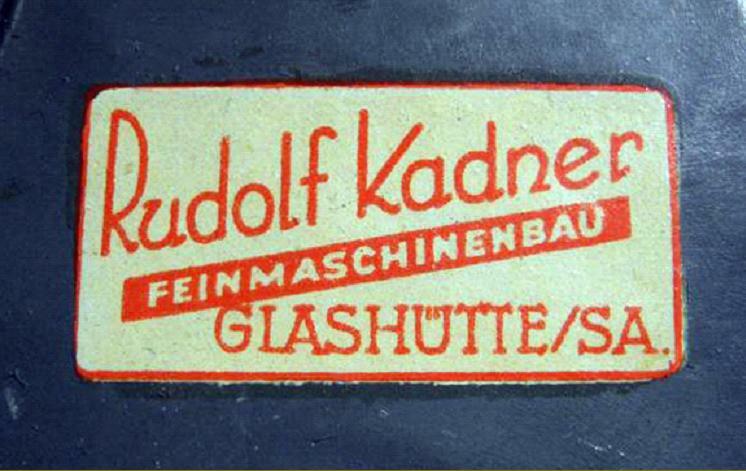 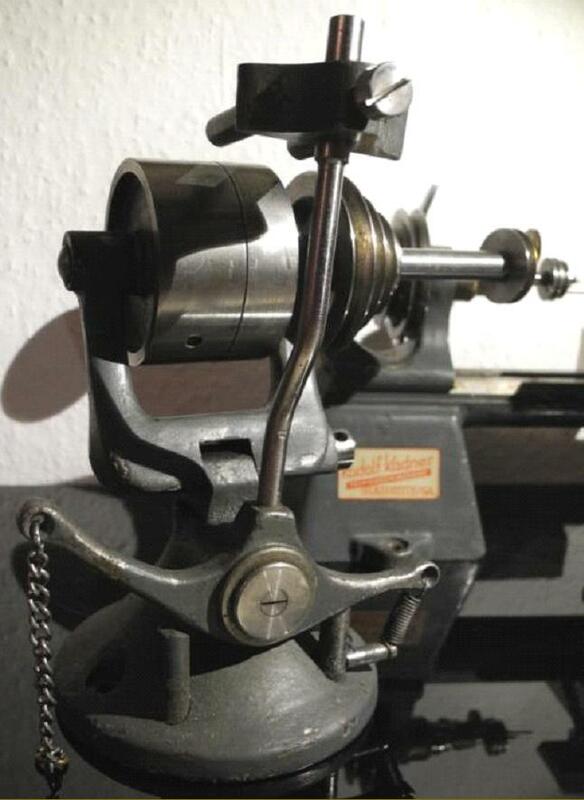 The maker described his Company as "Feinmaschinenbau" - or fine mechanical engineering - an apt description of his lathe, few of which are reported to have been made and now seldom found. 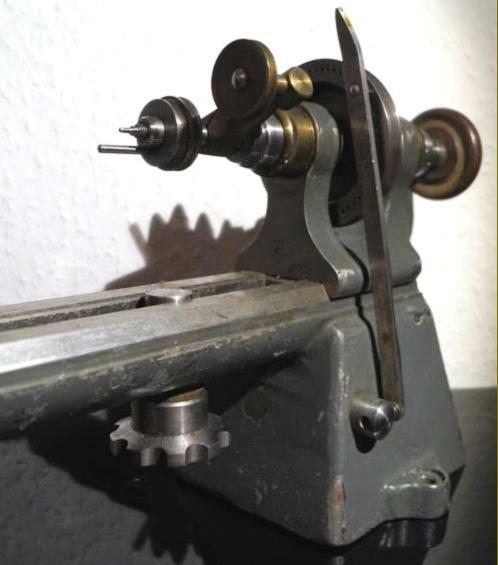 Of conventional layout with its spindle held in what must have been conical bronze bearings and driven by a 3-step pulley taking a round leather rope, the lathe had a centre height of 80 mm and took around 300 mm between centres. 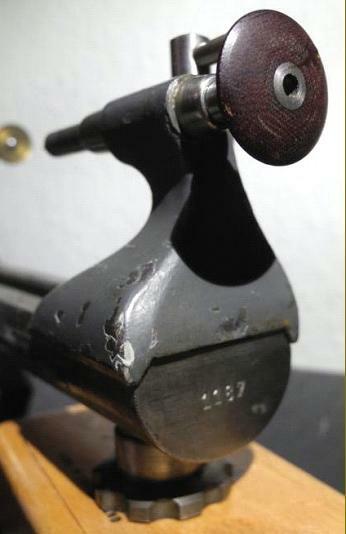 Spindle collets were retained by a draw tube, there appearing to be no means of attaching a lever-action closer.